Note: the SAFMC public comment period ended on the day of the meeting, March 7, 2018. More comment periods will be coming, stay up to date by subscribing to our newsletter. 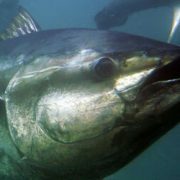 The South Atlantic Fishery Management Council (SAFMC) is accepting public comments on the possibility of the federal government issuing a second Exempted Fishing Permit (EFP) to allow pelagic longline research inside the closed zone of Florida’s east coast. The first federally issued permit for the research was invalidated in December 2017 when Nova Southeastern University (NSU) withdrew as a research partner. The NSU scientist remains as the principal researcher, but now in his newly incorporated business name, Fisheries Solution LLC. 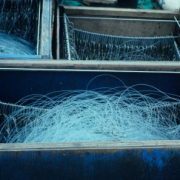 The research is to confirm that closing the waters for 16 years produced conservation benefits, which the longline vessels could be permitted to kill and sell. The Billfish Foundation remains unwavering in its position that killing and selling the conservation benefits is illogical. Now that the staff of the National Marine Fisheries Service (NMFS), the permitting agency, recognizes the project is highly controversial, it is consulting with SAFMC and the NMFS’ Highly Migratory Species Advisory Panel before issuing another permit. No mention was made by the agency of plans to consult with Florida’s Fish & Wildlife Conservation Commission, which strongly opposes the project. Now is your chance to make your voices heard: submit your comment on the proposed longline project. 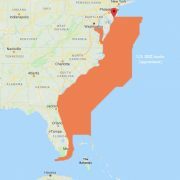 Tell the SAFMC not to recommend approval of the longline research in Florida’s closed zone, established to help conserve billfish, turtles, sharks and other species. I oppose the EFP application that would allow longline fishing in Florida’s east coast closed zone. As an angler, I value and recognize the conservation benefits that have been gained, and do not want to see this success wiped out by a short-sighted research project. The zone is still an important area for swordfish, billfish, sharks, turtles, and other species, and should not be opened to longlines – research or otherwise. 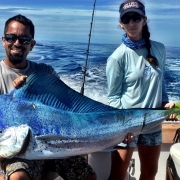 Considering the science and the potential negative impact the research could have on recreational fishing and the marine industries economy in South Florida, I ask you not to recommend that NMFS issue the EFP.